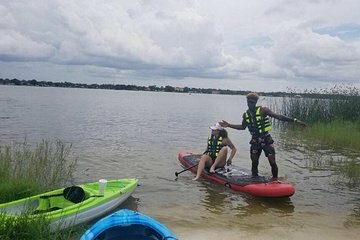 Pit your paddling skills against the clock and enjoy outdoor adventure in Orlando on this Lake Fairview scavenger hunt experience. Follow clues and cryptic directions around beautiful Lake Fairview, and complete the course in under an hour to win a Grill's Lakeside gift card for breakfast, lunch, or dinner. You’re welcome to rent your paddle board or kayak, or use your own.